The LL.M. in American Legal Studies provides students who already hold a law degree with an introduction to the breadth of American law. Students who complete the LL.M. are ready for the further study of law in the United States, select bar examinations, and the practice of law internationally. KU Law offers one of the most affordable international LL.M. programs in the United States. Candidates must hold a basic law degree (LL.B. or equivalent) from an accredited foreign college or university, or a J.D. from an accredited American law school. 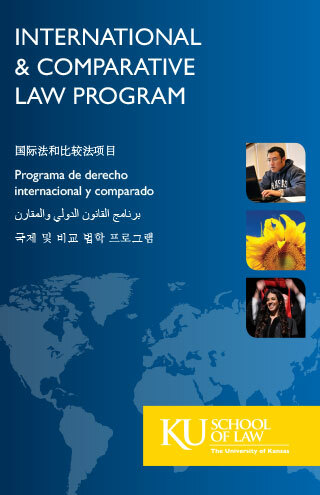 For a complete description of our International and Comparative Law Program, browse our multilingual brochure at right.